The quickest way to see how to use the engine is to head to the First Steps. For your own HTML project nothing needs to be installed on your computer and nothing needs to be installed by a client to run your program. See how simple it is with the getting started tutorial below. Check out the Index or the Features Section to see what is available. Build your first scene and develop it by following the Babylon 101 Course Then move on the find out how to do more. An overview of the documentation is at the bottom of the page. First, check to ensure your browser is WebGL compatible by visiting WebGL.org or Can I use ... WebGL. Browsers such as Internet Explorer 11+, Firefox 4+, Google Chrome 9+ and Opera 15+ support WebGL. 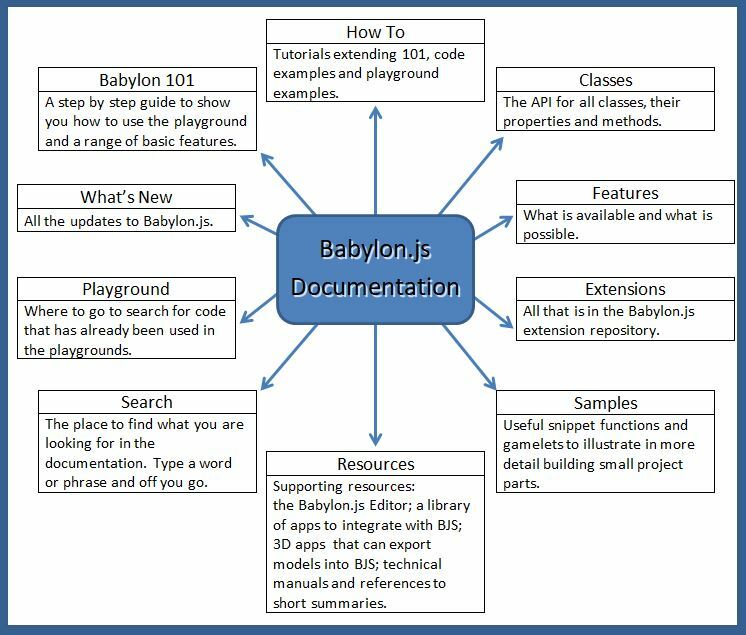 The example project below uses the most recent release of BabylonJS via the BabylonJS CDN, so you don't need to download BabylonJS locally in order to use it. // All the following code is entered here. This project implements the very basics of every BabylonJS program, a scene and two shapes, a sphere and a ground plane. We'll go through it step by step. Now our scene, which needs a camera and a light as well as the shapes. To generate the scene you use a createScene() function. // Create a basic BJS Scene object. // Create a FreeCamera, and set its position to (x:0, y:5, z:-10). // Target the camera to scene origin. // Attach the camera to the canvas. // Create a basic light, aiming 0,1,0 - meaning, to the sky. 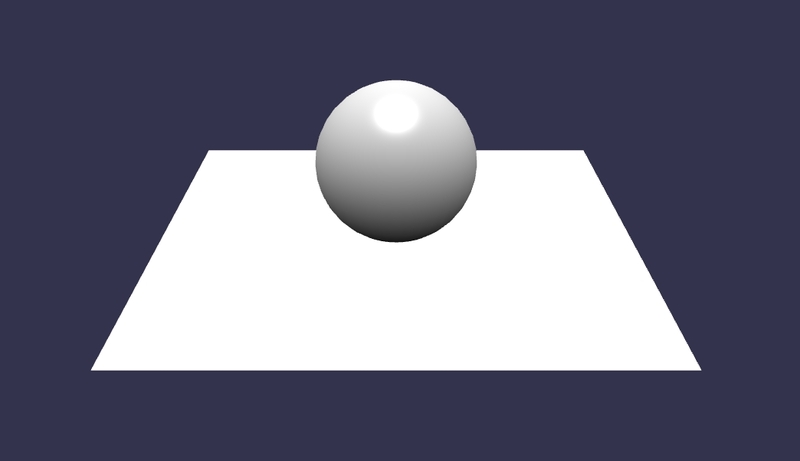 // Create a built-in "sphere" shape. // Move the sphere upward 1/2 of its height. // Create a built-in "ground" shape. // Return the created scene. // Create the game using the 'renderCanvas'. // Create canvas and engine. Then implement createScene, which takes no parameters and returns nothing, hence its type is void. The code comments detail its actions. // Create a built-in "sphere" shape; with 16 segments and diameter of 2. // Run the render loop. // The canvas/window resize event handler. You can click on the image above to see a live demo on the BabylonJS playground.